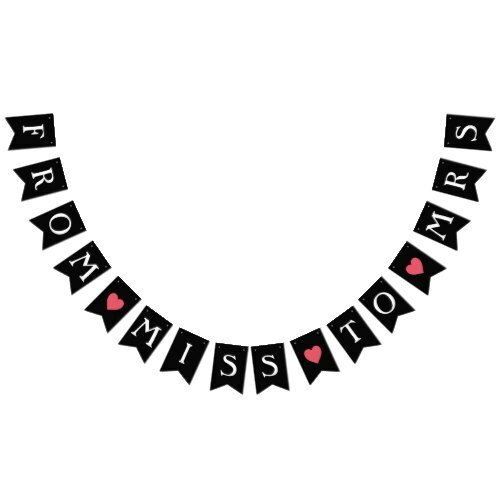 "From Miss To Mrs" - funny, très chic, swallowtail, sturdy plastic polystyrene bunting banner (with thick plastic rope). A fun, perfect party bunting banner for bachelorette hen party, bridal shower decoration, and bride & wedding related events, gatherings and celebrations. Adds to the fun in the party.